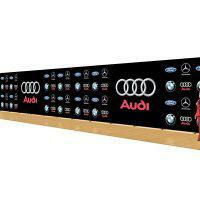 Are you rolling out a new product and want to make a big statement? Perhaps you’re ready to take your business to the next level and want to announce your arrival in a big way. 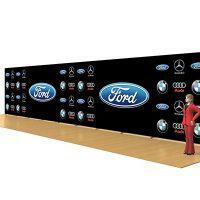 These large trade show displays with custom printed fabric is the way to go. 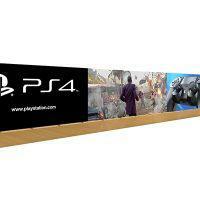 These HD fabric stands are very elegant and strong. 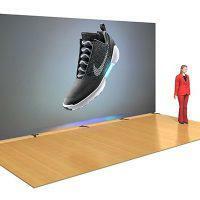 They are designed for trade shows, expo events, conferences and retail shope and mall stores. 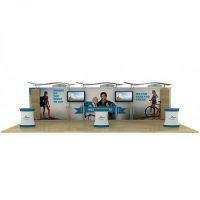 These large trade show displays can be customized to different size or shapes to suit you needs. If you want to increase your presence (and market share) at this year’s prestigious trade shows and look sharp, professional and competitive, then you definitely want your display designed and created by the pros at Capital Exhibits. 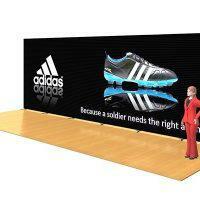 For many years, we have been the preferred exhibit designer and builder for discriminating professionals who need larger exhibits with sharp graphics and a carefully composed look for new product roll outs and increased market share of existing brands. 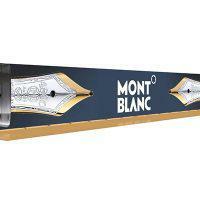 You can find more wide displays graphic stands on our website. Fill out the REQUEST A QUOTE form and a representative will be in touch shortly. 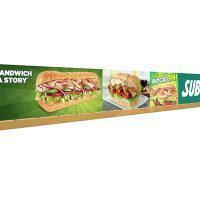 For custom larger displays that attract your target audience, drive sales and provide superb ROI, call us today at 866-730-3746! 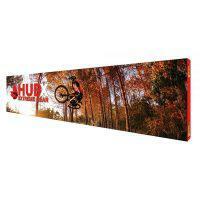 Whether you need a larger exhibit for this year’s trade shows, outside displays or outdoor banners to enhance your marketing presence, a sharp, dynamic display for your lobby or another application, you know you can rely on us to provide displays that are easy to set up, easy to take down and built to last. 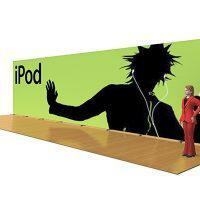 For more information large trade show displays, please call us today at 866-730-3746 to get started! Larger displays from Capital Exhibits. Just another way we help you Build Your Best Image!